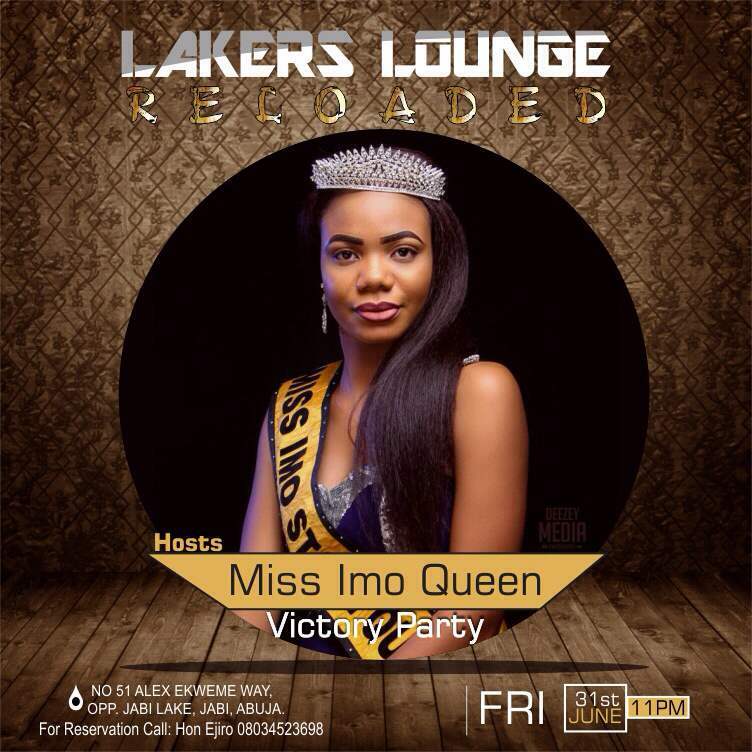 Home Pageantry PARTY NIGHT: Miss Imo State Queen, Lucia Odikanwa Gets Abuja Hosting With LAKERS Lounge! PARTY NIGHT: Miss Imo State Queen, Lucia Odikanwa Gets Abuja Hosting With LAKERS Lounge! The 300 level Undergraduate of Imo State University, who is expected to put on her dancing shoes with friends and well wishers will be storming the venue in style and swag. While Speaking to cross sections of journalists on her arrival to Abuja Airport, stated that she was excited and looking forward to the exclusive gathering at LAKERS Lounge tomorrow night.